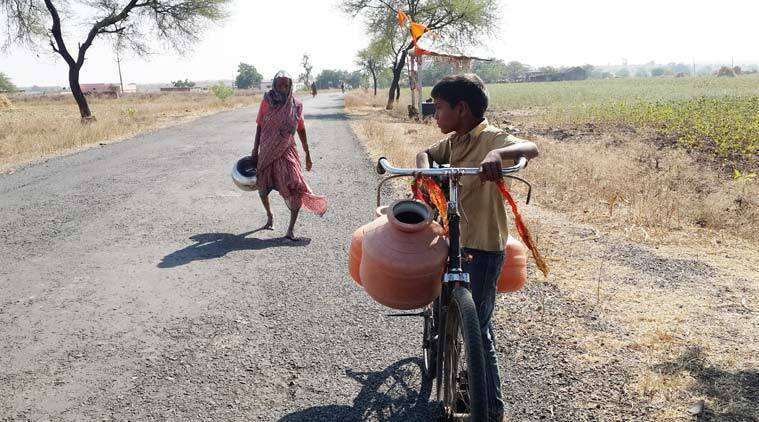 The Aurangabad bench of Bombay High Court, taking into account the acute drought faced in the state has directed the State Government to authorise a 50 percent water cut for liquor industries, breweries and distilleries in the area with immediate effect and a further 10 per cent cut from May 10. Division Bench comprising of Justices Sangitrao S. Patil and S.S. Shinde issued these interim directions in a PIL filed by one Sanjay Bhaskar rao Kale who requested the Court to stop the supply of water for manufacturing of liquor and make available the said water for drinking purposes to the citizens as per the State Water Policy. He contended that because of drought and acute scarcity of water many people and particularly the farmers are striving for their lives. The Court observed that right to potable water is a fundamental right of the citizens, and therefore, for enforcement of fundamental rights, the citizens can approach the High Court and the High Court is well within its jurisdiction to entertain such causes/issues brought before it. The bench also opined that that drinking water to the citizens needs to be given top priority by reducing supply of water for production of Beer, Liquor, and other Breweries and also to other industries. Earlier, another bench of Bombay High Court had asked the BCCI to shift all the IPL matches scheduled after 30th April to venues outside Maharashtra by observing that the plight of drought victims cannot be ignored and diverting water to villages which otherwise would have been used for maintaining pitches will help resolve the problem of draught to a large extent.